The JKG Triple-L Trailer series provides versatility for an endless number of industrial and construction carrying tasks, with lift capacities that reach 10,000 lbs. Easy loading ground level, great for scissor lifts! 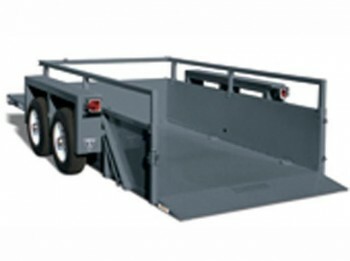 The JKG Triple-L Trailer series provides versatility for an endless number of industrial and construction carrying tasks, with most models providing full-width, low-angle ramps, enclosed sides, and lift capacities that reach 10,000 lbs. Other standard features on most models include quick-rising decks, single-lever hydraulic control, option rails and Quadra Spring suspension. 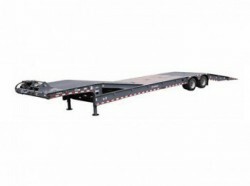 Carrying capacities vary from the 2,000-lb UT28 to the UT914, which has a 10,000-lb carrying capacity.